I brought one of my G-net mobo’s to Monouchi’s Taito Station last weekend for firing up some shmups on one of his Egret II’s. For having only 20+ titles available in total the G-net actually boasts quite a few shmup games. I’m still missing Ray Crisis but we played through the ones I have. I must say I enjoyed Psyvariar ~Revision~ the most. Interesting scoring mechanism and a great soundtrack! XII Stag is an odd gem with its horizontal firing system. Shikigami no Shiro delivers as usual. Finally having gotten Space Invaders Anniversary I ran through a few of the versions in the game and it’s quite remarkable to back 30 some years to the birth of the shmup genre. New update over at the CAVE Database: Deathsmiles Xbox 360 releases. Got some merchandise to post as well in a near future! 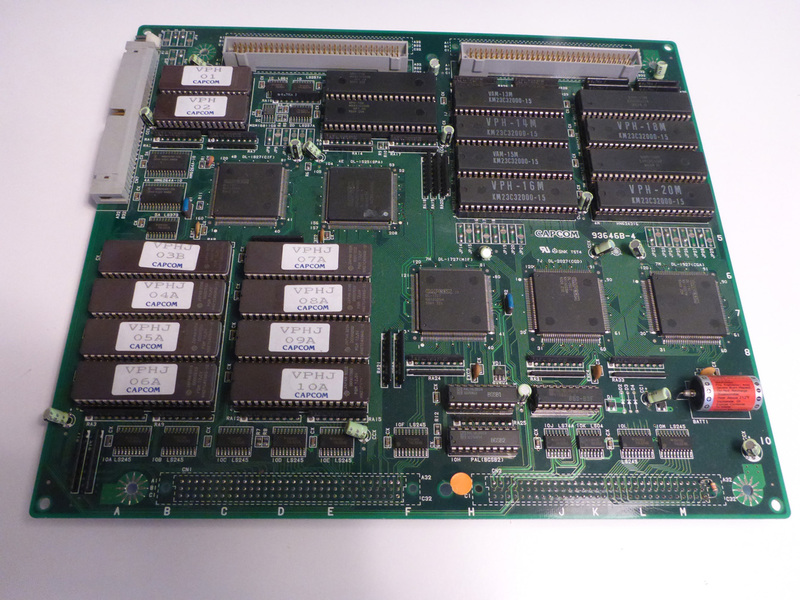 I killed a Vampire Hunter CPS2 board! Conversions are kind of a grey zone within the arcade world. They’re neither bootlegs nor originals and trading them is banned on many arcade forums. Instead of creating a copy from scratch you take an existing game and reprogram (usually by changing the chips) into another. While it is not considered ok by some this was done by the game manufacturers too. 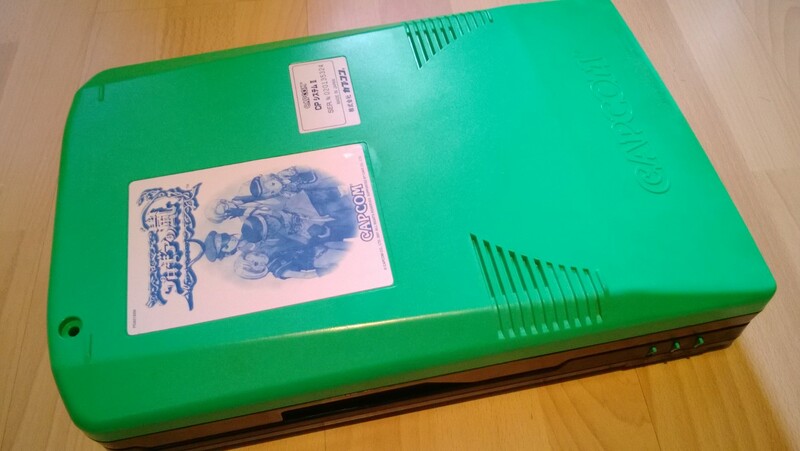 Progear no Arashi and Hyper Street Fighter II: The Anniversary Edition are probably the most common conversions on Capcom’s CPS2 platform. Both are ridiculously expensive as originals and fairly easy to make conversions of. After baking a few Naomi and MVS BIOS chips I wanted to try my luck with a Progear conversion. I picked a cheap Japanese Vampire Hunter as donor and got started. The first thing I realized was that Vampire Hunter uses a PAL F type board which meant I would have to do the ugly patch, ending up with a cable across the board. If you can get hold of a PAL G board you won’t have to do this. 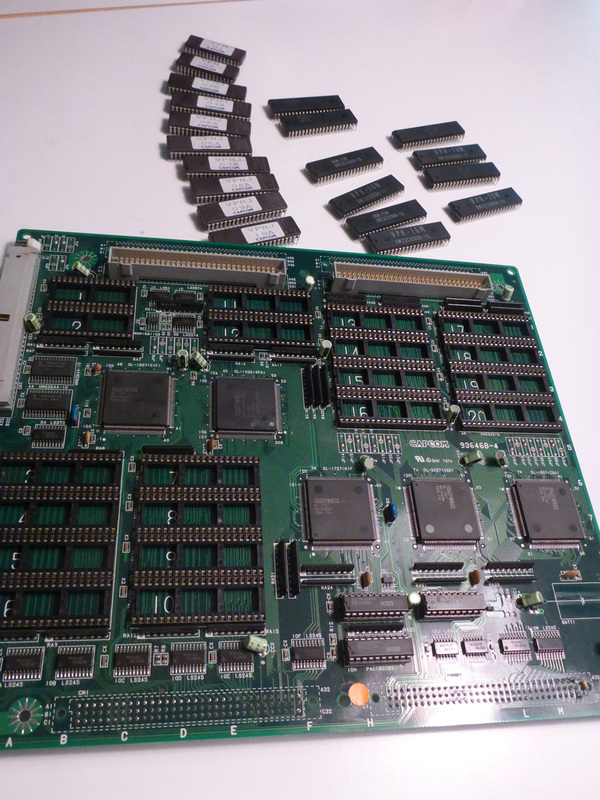 The 27C010 and the 27C4096’s you can reuse if you have an EPROM eraser (if you don’t – get one). Though in my case the VH had 27C1001’s and I couldn’t any get them to work so I had to get a new 27C010. 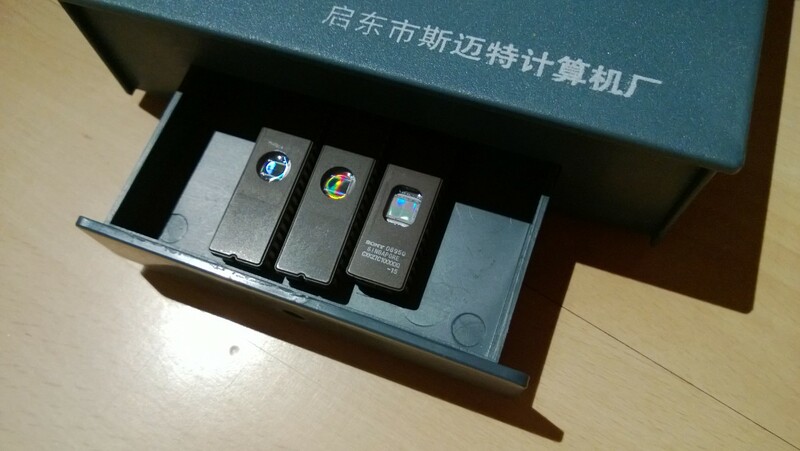 The M27C322’s are easily found on both eBay and AliExpress. 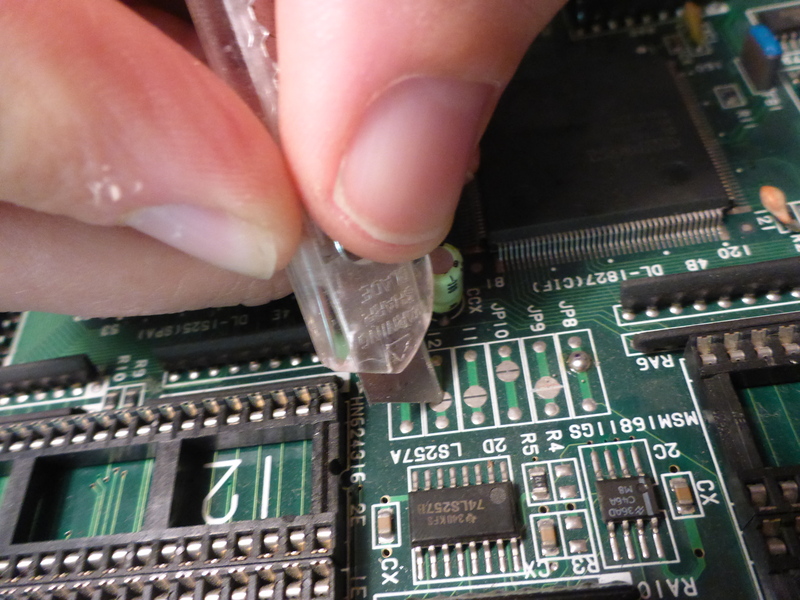 Use a decent UV eraser for wiping the EPROM’s. Don’t build your own! You can find one cheap from eBay and messing around with UV light can make you go blind. I usually leave the EPROM’s for about an hour in the eraser for making sure that they’re blank. Since CPS II boards are suicidal it’s also a good idea to remove the battery while converting and create a phoenixed board. For this you need phoenix version of the ROM files. Desolder the battery from the board and short circuit the CC1 capacitor for draining the board completely from any residual charge and the remove all IC’s from the sockets. Now’s a good time to clean the board if it’s dirty. Wash it under lukewarm water using a mild detergent and a soft toothbrush. Rinse well and leave the board to dry for a couple of days. In case you have a hot air oven that can be set to a temperature of 35-40°C (85-105°F) you can speed up the drying process. Next you need to set the jumpers correctly. There is a total of 28 jumpers on the board. Jumpers 1-6 above IC socket 1, 7-12 between sockets 2 and 12, 13-20 below socket 16 and 21-28 below socket 20. 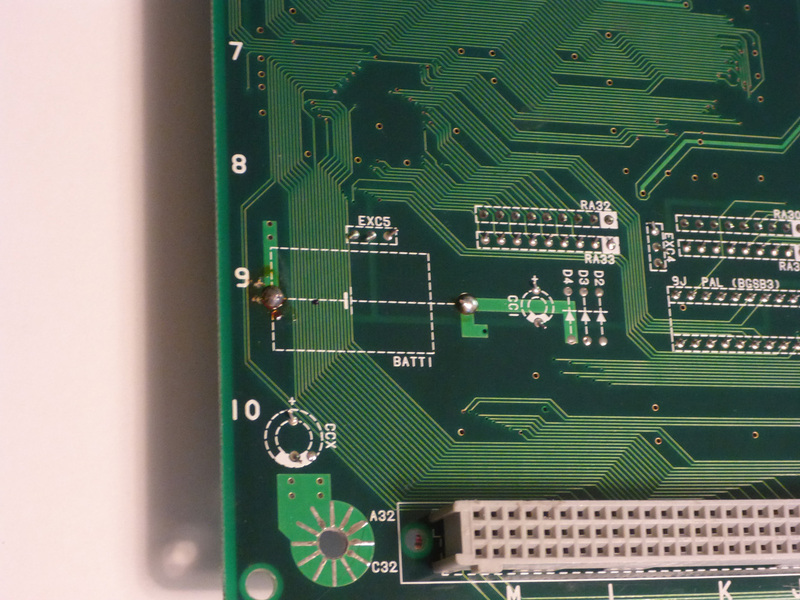 Depending on your donor board you might have to cut, solder and/or desolder the jumpers. 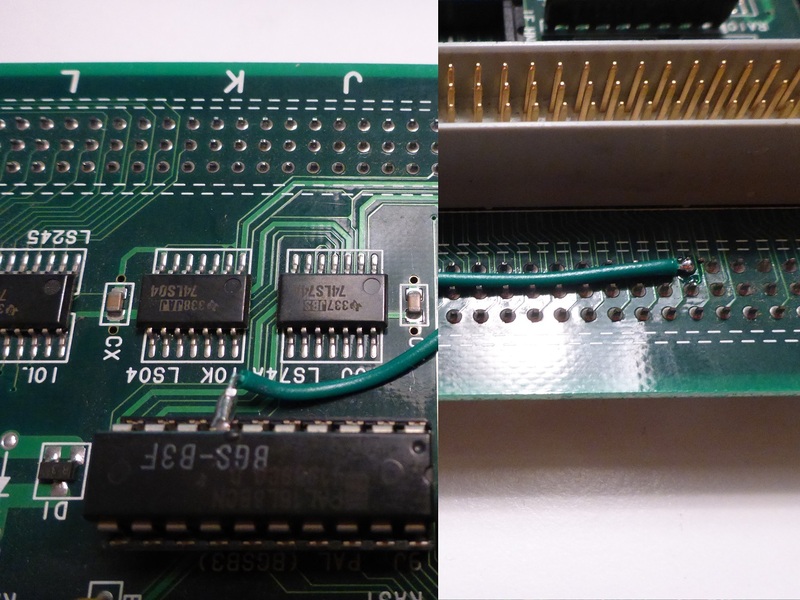 If you, like me, have a PAL F type board you’ll have to apply a patch cable from the BGS-B3F IC to pin C13 of the C1 connector across the board. Remove the BGS-B3C IC from the board and bend leg no 7 outwards so it no longer connects to the socket. Solder one end of the wire to the leg. Reinsert the IC and solder the other end of the cable to pin C13. For programming the EPROM’s you’ll need a programmer with a 42 pin ZIF socket capable of handling the three chip types. I use a TOP-3000 universal programmer which can be found on eBay and other stores for about $150. Once you’ve programmed the EPROM’s make sure to cover the windows on the chips. There are special metallic labels for this but normal electrical tape works just fine. 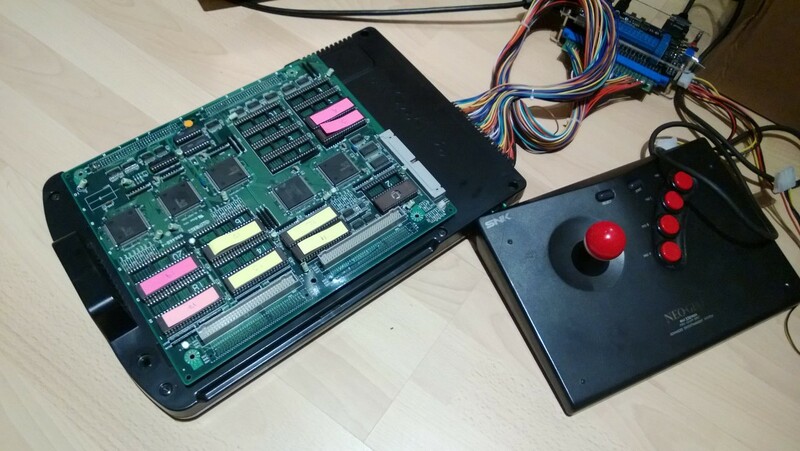 Insert the EPROM’s and take your game for a spin! 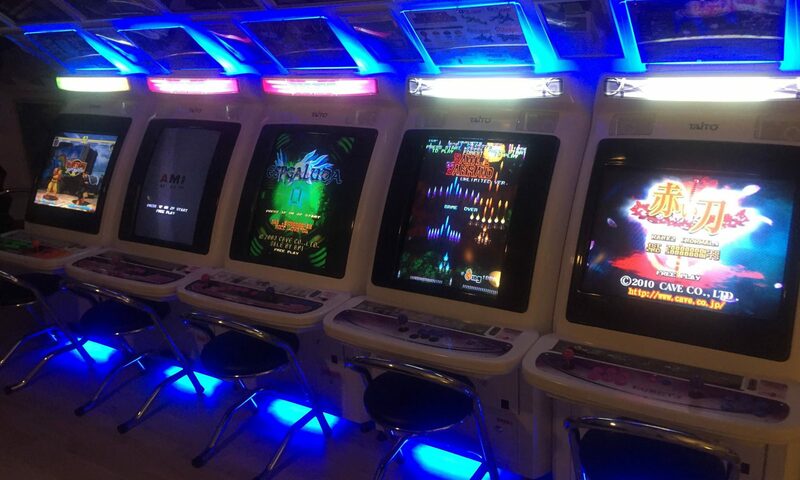 Case labels and manual can be found over at the ArcadeOtaku wiki. 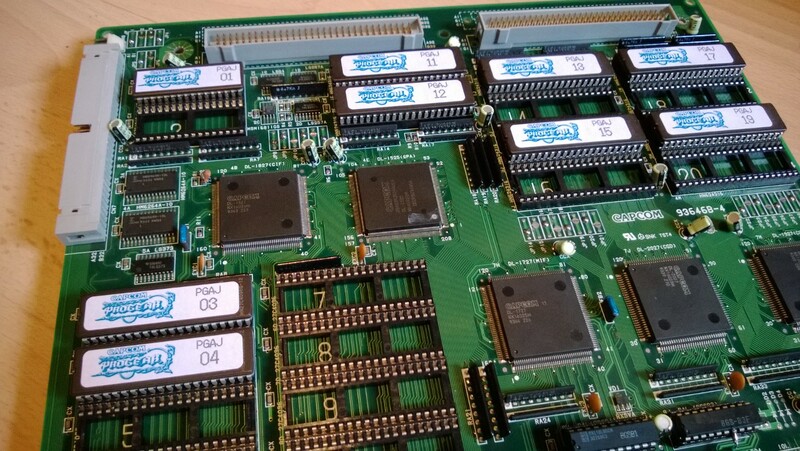 And for giving your board the last final touch print some nice looking EPROM labels.